At SAVIC we look at CSR as a voluntary obligation. Our initiatives are presently limited and shall gain momentum with growth of company. We are currently focusing on Education, Health and Hygiene. 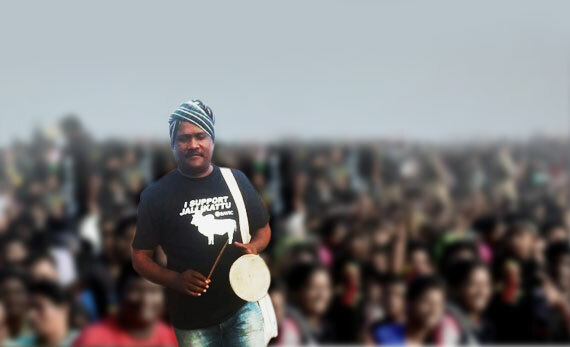 To that effect we are making monthly contributions of Rs 10,000/ through an NGO. The mission of Girija Welfare Association is to uphold work for the transformation of lives of orphan and less privileged children, without discrimination in caste, creed or race and to rescue and rehabilitate them in our society. We at SAVIC back this notion and consider it as a priority area for our CSR activity. Recognizing education as one of the building blocks of any nation, the aim is to nurture young minds and help create an environment to foster healthy body and sound mind, so that they contribute to the nation’s development. Realising the importance and relevance of education, SAVIC teams up with Girija Welfare to support their kind initiative. We believe that the true and full measure of growth, success and progress is best reflected in the difference that business and industry make to the lives of people. 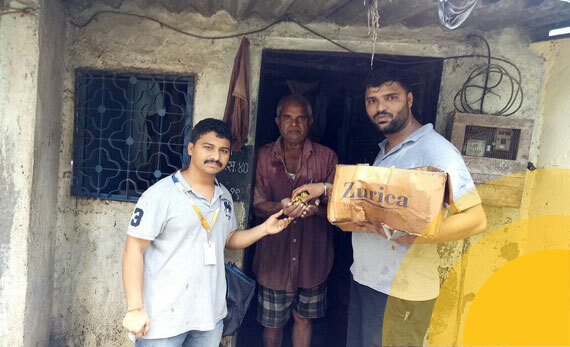 SAVIC Technologies joined hand to support flood sufferers at Thane, our team members visited suffering areas and provided with water and food items. Our team also moved around other places and helped people to re-organise their house and offered related supports. We pray to almighty, to make everyone of us strong and also support us to over come from this situation . SAVIC Team Members join protest continued demand for the removal of the ban on Jallikattu - Tamil Nadu’s traditional bull taming sport - at Chennai’s Marina Beach on Wednesday. The world needs helping hearts and hands to improve the quality of life and there are many who give selflessly to altruistic activities. Whether we donate our time, money or talent, the ultimate goal is to make an impact in the world around us. 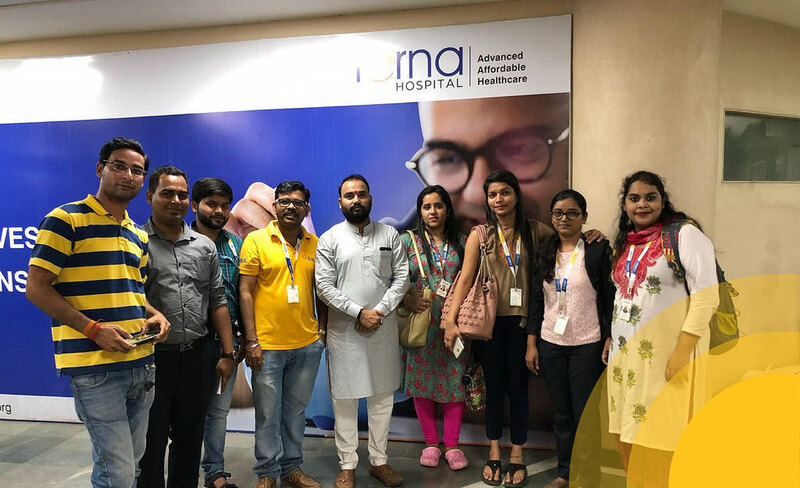 With many viable causes in need of support, this month SAVIC took to Terna Speciality Hospital & Research Centre to extend its CSR activity. Our CSR team was empathetic and extended it capable support to 220 patience’s with their supplementary food requirement. We believe the greater our presence, the greater our responsibility - and the greater our opportunity to make a real difference. Kerala is in the aftermath of an unprecedented flood havoc. The calamity has caused immeasurable misery and devastation. Hundreds of lives were lost. Thousands of homes were totally destroyed and many more were damaged, we have braved the odds. Now it is our duty to help the affected rebuild their lives. you can make a difference by joining the rebuilding efforts. Contribute generously to the Chief Minister's Distress Relief Fund. We at SAVIC back this notion and consider it as a priority area to help Kerala with our support. 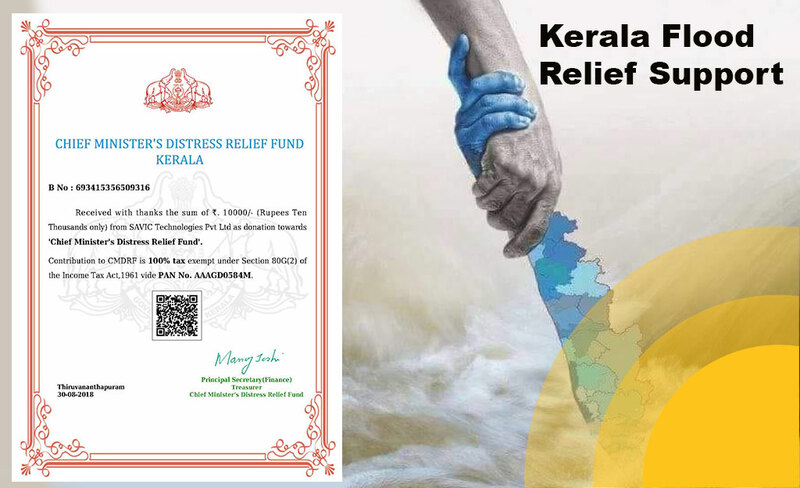 Recognizing the need SAVIC Technologies donated Rs.10,000 for Kerala Flood Relied Support We pray to almighty, to make everyone of us strong and also support us to over come from this situation .